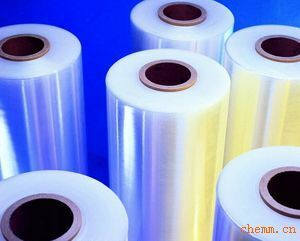 as well as nonpoisonous and harmless soft, has met the standard of international environment protection, under the condition of no-heating, can do stretching vertically and horizontally, and pack kinds of products depending on its self-stickiness, moreover, makes the packed goods keep tense and not loose in a long term, and wraps all goods as the integer tightening with its high intensity and large flexibility force. Has the effect of nicer loose-proof, rain-proof, dust-proof, as well as theft-proof, and so on. We can do OEM,size and packing as your requirement.We ensure high quality and services, competitive prices and prompt delivery.If any product be of interest to you , or any question, please feel free to contact us at any time. Your inquiry by mail or phone will be always welcomed!